Across 2 Cultures - Cross-Culture Parenting and Lifestyle Blog: Fête de fin d'année! 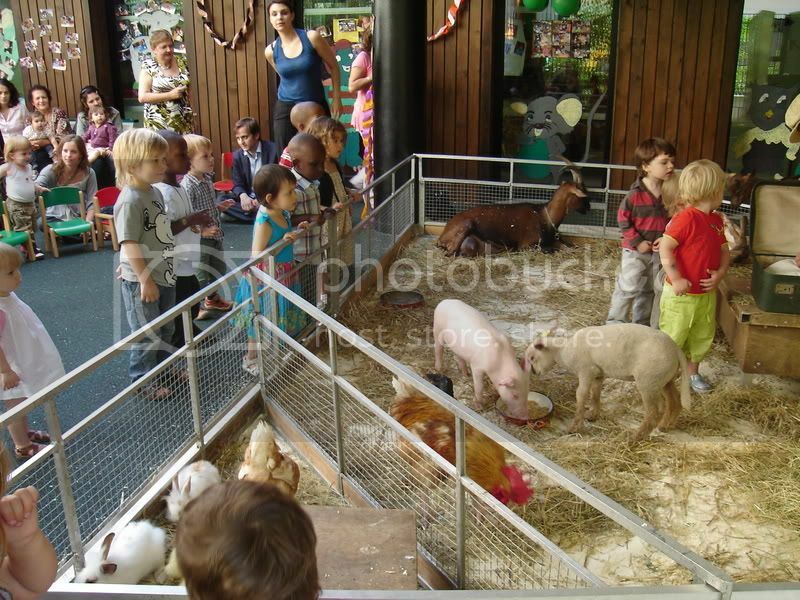 It was a really fun party and they had a travelling farm, Tiligolo come into the daycare! It came with a little performance and after that, the kids could pat the animals. 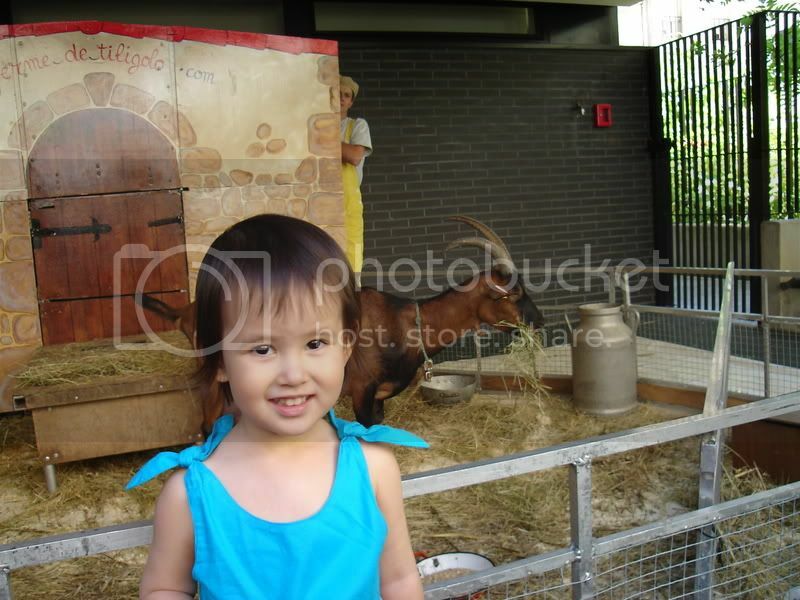 There were all sorts of farm animals and Laetitia had tons of fun. To start off, We introduce the goat! Nope, not the one in blue, that's my little girl Laetitia. The goat, errrrr, is behind Laetitia. Having a chance to pat a little duckling. Being excited watching her friends. Kids and parents enjoying the spectacle. Check out all the animals! There was a goat, a piglet, a lamb, chickens, a duck, a goose, ducklings, rabbits, a hen, a rooster etc. A group picture of the caregivers. 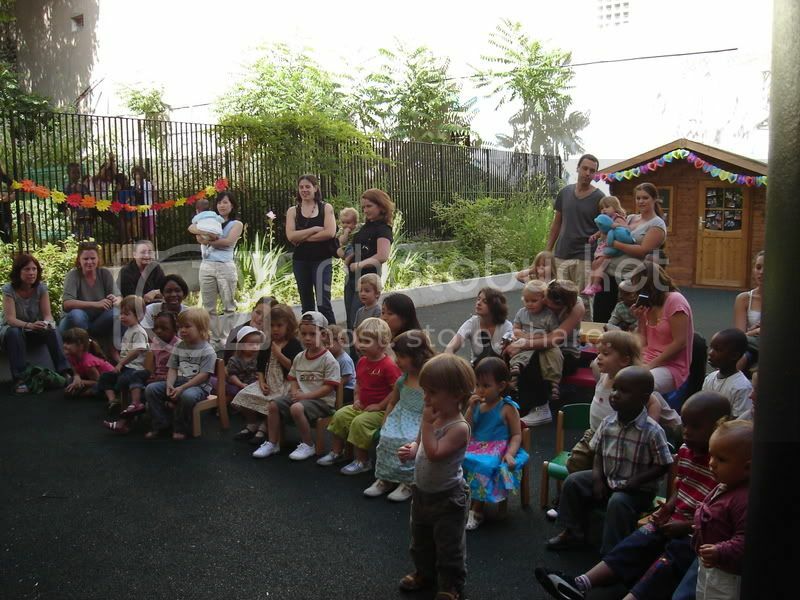 Laetitia is sitting on the lap of the principal of the daycare. They are all fabulous with her and she absolutely adores them.